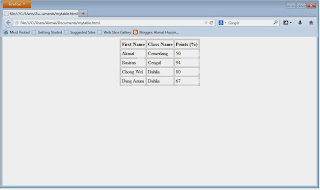 Let say do you want to put following table manually in blog post. 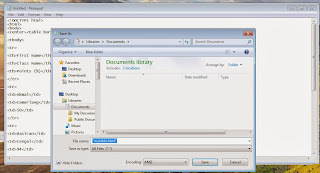 You can use MS-Word to create table and paste it in blog editor. Sometime the table that pasted from MS Word does not show properly because browser compatibility. 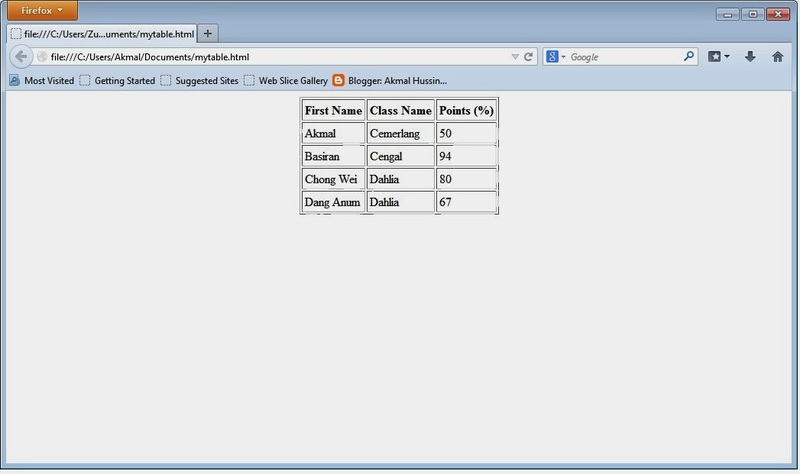 To address this you can use html code to manually add table to your blog post. To add html code above in your blog. Copy html code above. 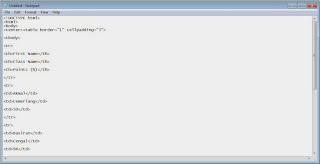 Go to your blog post editor and click HTML in your editor. 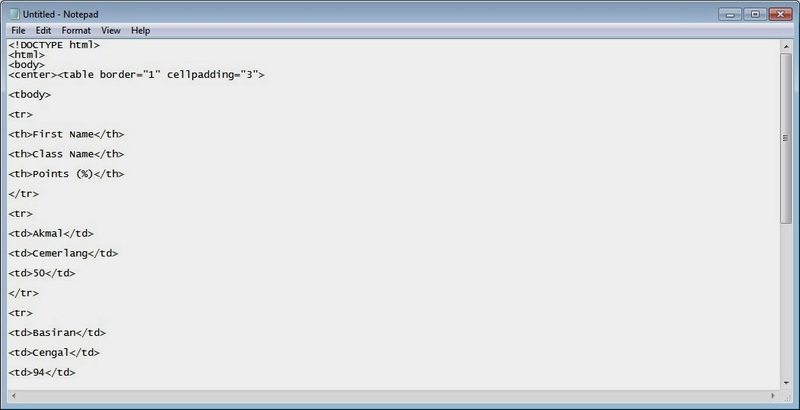 Then paste above code in your editor. "1" in border="1" is a border line size. You can put "0" if you do not want the border. 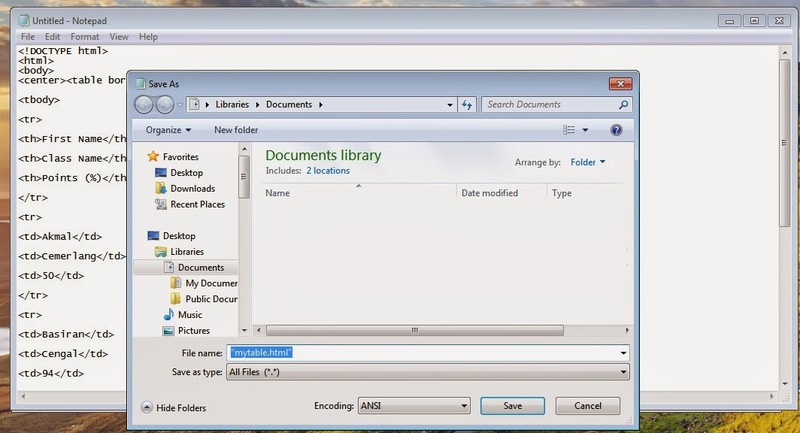 To try it offline on your desktop, copy following code and paste it in notepad. Save it as html file. Then open it with your internet browser. BookUp: Save money on your college textbook! Blogger:How to embed a Vimeo video in your blog.